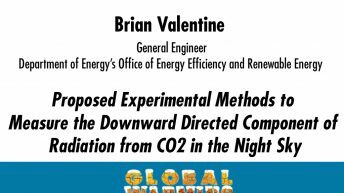 Brian Valentine is a general engineer in the U.S. Department of Energy’s Office of Energy Efficiency and Renewable Energy. He serves as the department’s liaison to the U.S. petroleum refinery industry and as scientific reviewer and consultant to the department’s Office of Science for DOE National Laboratory-directed programs in computing, chemical, and climate science. Valentine is an adjunct associate professor of engineering at the University of Maryland at College Park, Maryland.